Cash-out Refinance Mortgages | What is a cash-out refinance mortgage? If you’re thinking about refinancing your home, you have several options. You can choose to pay off the original loan and replace it with a new one, refinance up to 125% of the value of your home through the Home Affordable Refinance Program (HARP), or get cash out of your home with a cash-out refinance mortgage. 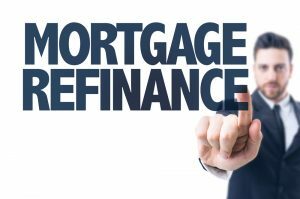 There are numerous reasons to refinance your mortgage. You may want to reduce your interest rate and lower the monthly payment, reduce the number of years you are paying on your mortgage, remove mortgage insurance, remove a party from the existing mortgage, etc. With a cash-out refinance mortgage, you have all the money-saving advantages of refinancing, plus you can take equity out of your house in the form of cash. For example, if you owe $60,000 on your primary residence that is worth $200,000, and refinance with a fixed-rate mortgage for 80% of the value ($160,000), you could take $100,000 cash out of your home, less closing costs, with a cash-out refinance. The money you receive from the cash-out refinancing can be used for any purpose, including paying off credit cards, home improvements, sending the kids to college, etc. There are different types of cash-out refinancing, such as FHA Cash-Out Refinance, that have different benefits and requirements. In general, though, you can cash-out refinance with different types of property, including some investment properties. You can cash-out refinance with several types of mortgages, including some fixed-rate mortgages and many ARMs. But, there are also several qualifying factors to consider, such as the loan-to-value ratio. For more information, see Freddie Mac’s Cash-out Refinance Mortgages page, and contact us regarding specific questions. Pulling equity out of your home in the form of cash. Saving money on your mortgage over the entire term, by refinancing to a lower rate and/or a shorter term. Money you receive from the cash-out refinancing can be used for whatever you would like, including buying a vacation home, consolidating debt, paying for home improvements, investing in a business, paying for college, going on a vacation, and much more. And since cash-out refinancing works like any mortgage refinance, you can save thousands by refinancing to a lower interest rate and even shortening the term.